The PRINCE2® Project Management methodology is a long established and continually developing project management method that has become the 'de-facto' standard in the United Kingdom and Europe with increasing ubiquity to command worldwide recognition. In harmony with AXELOS principles and regulations you can be assured that all instructors and material used by Northern Project Management are accredited and licenced. This gives you the confidence and flexibility to undertake, either separately or as part of a package, any combination of training, examination or examination invigilation - internally at your premises or externally at ours. The foundation level is aimed not only at project managers but also team members, project support and office staff or operational staff. 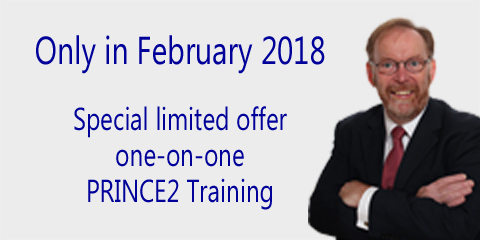 The goal is to give delegates sufficient knowledge and understanding of PRINCE2® to enable them to effectively work with, or support, an environment using PRINCE2®. 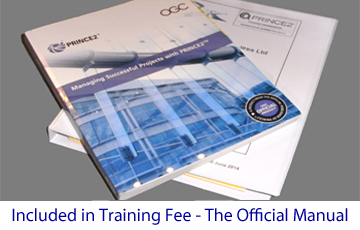 Included in the fee of our Foundation Training courses are both the official OGC manual 'Managing Successful Projects PRINCE2®' and our specially developed 300 page training manual which take students beyond “just the foundation theory”. To complete the course with success, delegates do not need to bring any other material with them. Additionally we have a selection of online videos as 'pre-course' study plus an assortment of videos available to ‘members only’ for extra private study. A prerequisite of training is that the delegate has already achieved 'Foundation' level status. Practitioner training is directed at project managers (or budding project managers), key personnel, team managers or operational staff and managers involved in the design or delivery of projects. Over and above the skills already learnt, Practitioner delegates will gain a sufficient understanding of how to apply and tailor PRINCE2® to any given situation. 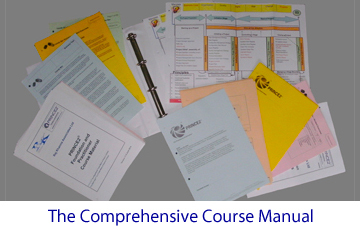 Delegates who have taken our foundation course will already have the OGC ‘Managing Successful Projects with PRINCE2®’ manual and our foundation/ practitioner workbook; for successful completion delegates need no extra material. The material and workshops are designed to take delegates above and beyond the standard required to simply 'pass the Practitioner examination'. You can be assured of achieving your desired pass and, post-training, will have the confidence to face any new project challenge with vivacity. A 2 day workshop is usually adequate to prepare delegates to a sufficient standard to be able to sit and pass the Practitioner examination; the examination being scheduled for the last 2½ hours of the training.